When I die, I want to be buried in a white coffin. Prof. Lawrence Mukiibi, the proprietor of St Lawrence Academy Schools with affiliate colleges that range from Paris Palais Campus, The Academy Campus, London College Campus, Horizon Campus, Creamland Campus and Crown City Campus died last week at Norvik Hospital. He died on May 28, 2017 aged 69. Loved ones who included close to 50 children, wives, friends and relatives attended his burial in Nsangi. 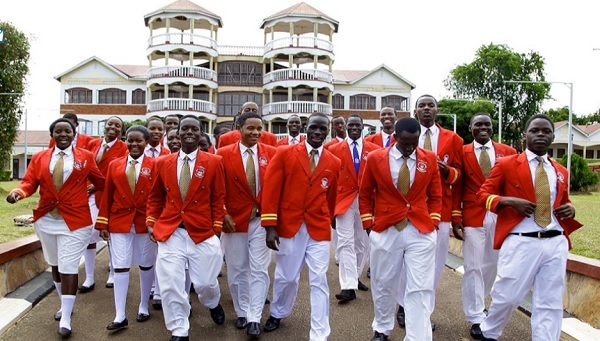 Vice President Edward Sekandi who is also the Vice Chancellor of St. Lawrence University attended. Professor Mukiibi, did not only have colleges and a university, but also had Lorencia Junior School Nsangi to take care of the primary section. 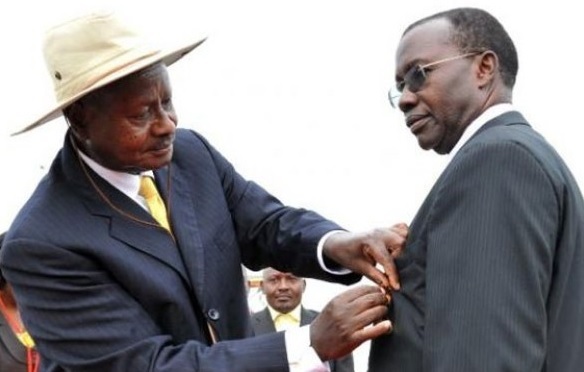 President Museveni decorating Prof. Mukiibi with a Gold Medal courtesy of his St. Lawrence chain of schools last year. Professor Mukiibi was staying with two wives at his Nsangi home, it was a 2-in-one flat. The two wives were each in their apartment. The other mothers of his children also had their houses, cars and for some, he was renting. When he died, a good number of pregnant women showed up with claims that the fallen Professor was responsible, they were chased, but later, police intervened and advised the family members to take care of these women to the time when they can give birth. DNA testing to prove that Prof. Mukiibi was the biological father was recommended. Last year in April of 2016, Professor Mukiibi was asked how many children he had, his response then spoke volumes of the situation at hand. "It's a taboo to ask an African man, how many children they have. An African man of my age, never ask." He went on to say that he had also adopted some children. "When I die, I want to be buried in a white coffin, funeral service vehicles should be white. The moment you hear that Professor is dead, put on white," He concluded. A year after his interview, he died and indeed, it was an all white funeral. 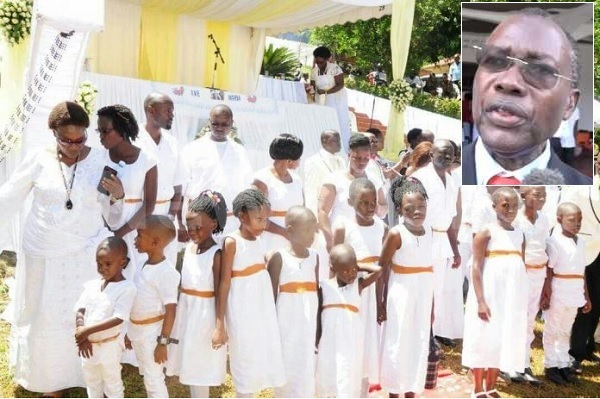 Professor Mukiibi headed a school in Kenya for 9 years, was a headmaster of the Kampala Parents School in 1989. In 1993, he started Progressive school, which he later changed to reflect his name, St. Lawrence Schools. Meanwhile, some of the mothers to his children turned out to be former students, school administrators plus others he interacted with in his work, he was generous and kind the reason he ended up with over 5 dozens of children. Ethics Minister Fr. 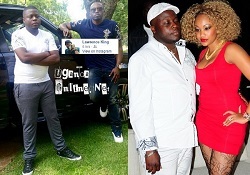 Simon Lokodo and UNATU boss, James Tweheyo are on the same page. "It is professionally wrong for a teacher to have sexual relations or at worst sire children with his students," says James Tweheyo.